Cassava is one of the most common ingredients you can see being used in West Africa. Cassava is also known as Yucca. This root is native to South America. From what I read from wikipedia is that Cassava is the third-largest source of carbohydrate in the world. I’m not surprised with this because Cassava is also widely used in Indonesia as source of carbohydrate. It is known as Singkong or Ubi Kayu in Indonesia. Not only they are cheap, they are abundant and fill up your tummy. If you don’t know me already, I am a carbo person. Rice, potatoes, noodles, corn and cassava are my weakness. I really like cassava and I can eat it anytime of the day, 7 days a week if you allow me to. 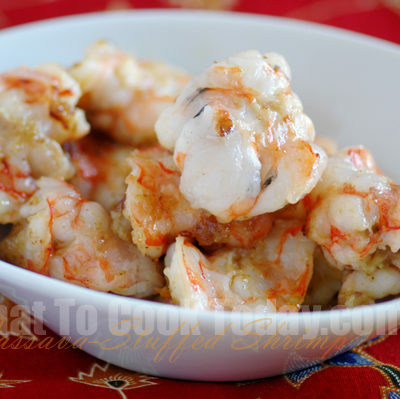 The cassava-stuffed shrimp is the mixture of basic ingredients such as cassava with high-end luxury one, in this case, shrimp. I really enjoy this dish though. Such a great fusion! 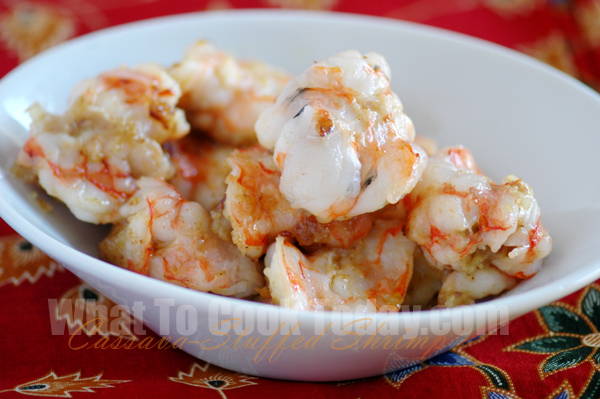 Love the creaminess, the spiciness and the flavor from the curry powder and the tarragon….yumbo! 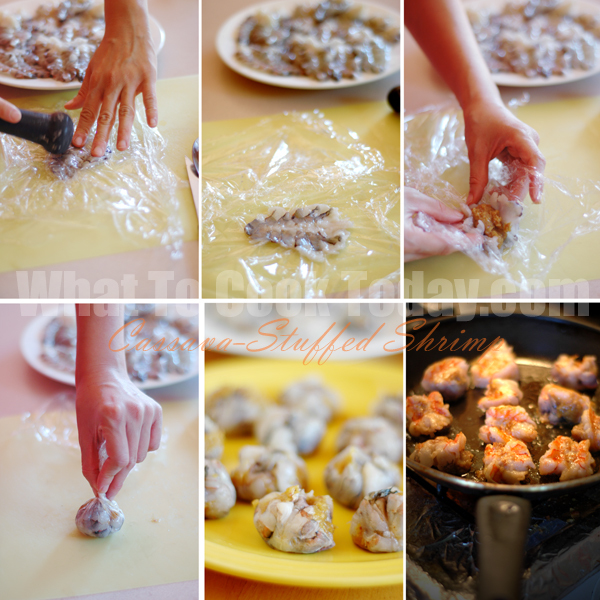 Now, don’t expect perfect shrimp balls, because they are not going to be like that since we are using whole butterflied shrimps. The key is to pound the shrimp as thin as you can (but not to destroy it 😉 ) so when you cook them, they won’t unroll.